Stage Enjolras commands, “Let all the women and fathers of children go from here” and they reluctantly obey. Film Enjolras sings, “Let all who wish to go from here”… and no one leaves. Both sets of students then sing a reprise of an earlier song to express their solidarity, but while onstage the song in question is the melancholy “Drink With Me,” on film it’s “Do You Hear the People Sing?” Little Gavroche being the one to start it may border on overly sentimental, but there’s no question that the choice of song enhances our sense of their heroic resolve. Onstage the final battle begins here. 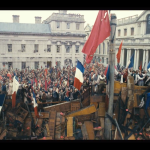 The students take their positions and Enjolras shouts “Fire!” But on film this is a pre-combat scene. This makes sense: the pause of all action needed for Gavroche’s death to have the necessary impact couldn’t realistically take place in the heat of battle. The fact that it does onstage can be chalked up to TSOD. Onstage, Feuilly announces (in song) that ammunition is short, and first Marius, then Valjean offers to go into the street to collect bullets. But then Gavroche shouts that he volunteers and darts over the barricade amid mass panic and vain attempts to stop him. On film the action is more subdued: the students’ exchange becomes spoken dialogue, and the moment Gavroche hears Marius offer to go, he creeps out unnoticed through an opening in the barricade. Only when it’s too late do the students realize where he’s gone. His death itself is unchanged, except that onstage his body is traditionally left where it falls, while on film it’s retrieved and sobbed over by his best student friend Courfeyrac. Onstage, as an insightful young theatre blogger once pointed out, the unseen National Guard comes across as “emotionless” and “monstrous,” making the rebels come across as “saint-like martyrs” all the more. Not so on film, where we not only see the students killing as well as being killed (and not just long range shooting – Marius kills a soldier with a sword! ), we also see the army officer who gives them their final warning. Only slightly older than the students, he’s obviously distraught by what he has to do, but has no choice. This brings a very believable sense of balance to the scene. The film feels very real. The battle is longer and intensely chaotic, as the army rolls out cannons and fires them at barricade. The rebels fight long and hard, but eventually run out of ammunition and are driven back into the café. The fighting turns into slaughter and in one horrific moment two students pound on the door of a house, howling for help, only for the inhabitant to shut the window and let them die. Some Hugophiles criticize Tom Hooper for portraying the rebels as helpless and overwhelmed instead of stalwart to the end, but the former interpretation has never been foreign to the musical (see “Turning”) and the imagery’s visceral impact is undeniable. It’s at this point that film Marius is shot. Right away Valjean takes him away from the battle. This is much more convincing then the TSOD-drenched stage scenario, where Valjean lies low until the battle ends and only then takes Marius away – how convenient that of all the fighters, the two sole survivors just happen to be the two we most care about! At last onscreen, it seems that only Enjolras is left. The soldiers are about to shoot him when, in a moving moment taken from the novel, Grantaire approaches and voluntarily joins his leader in facing death, despite not having shared his ideals. (How much more moving it would have been if his verse in “Drink With Me” had been included!) It’s now that we hear the orchestral reprise of “Red and Black,” gentler than it is onstage, as Enjolras and Grantaire are killed in slow motion and as Enjolras falls out of the nearby window and hangs there, upside down. After the bloodshed ends onstage, a single oboe in the orchestra plays a reprise of “Bring Him Home” as Valjean finds Marius alive but unconscious and drags him down into a manhole. Then (in the standard staging), as the music swells on the melody of “The summers die one by one…” the turntable revolves to reveal Enjolras’s body hanging upside down from the barricade, on top of the red flag, in the same position that the film recreates at the window. Below him lies Gavroche’s body. Then the stage turns again to reveal Javert sitting on the barricade, at a loss as to where Valjean could have gone – that is, until he spots the manhole. The film reduces the orchestral “Bring Him Home” reprise to only its bridge and offers a completely different take on it than the stage. Here the film’s attempt to humanize Javert reaches its zenith as he enters the café and gazes at the lined-up rebel corpses with deep distress. As the music swells (at the point where Enjolras’s body is revealed onstage) he bends down, takes a medal from his own uniform and places it on Gavroche’s lifeless chest. This touch isn’t in the screenplay; it was Russell Crowe’s idea. Javert, of all people, becomes our emotional stand-in at this point. Though in the end he reverts to “find Valjean” mode, and as on stage, discovers the sewer entrance (incidentally a storm drain in a wall instead of a manhole). Film Valjean’s struggle to squeeze through the tight sewer pipe and frightening slide into the wide tunnel have no stage basis. (This addition gives us a new reason why Thénardier thinks Valjean is dead at first, Valjean being knocked unconscious by the fall). Onstage this scene opens in the tunnel, where the first person we see is Thénardier. Valjean and Marius only appear, and Valjean faints from exhaustion, after Thénardier sings the first verse of the one song to be completely cut from the film. Both stage and screen have Thénardier robbing students’ corpses in the sewers, as well as the seemingly dead Marius, but onstage he sings about it as he does so. And after robbing Marius, he sings that his deeds are justified because “it’s a world where the dogs eat the dogs” and that God is “dead as the stiffs at my feet!” Many stage devotees were outraged that this sinister song was omitted onscreen and understandably so. While I don’t think Thénardier is just a buffoon without it, as some of them claim (the very fact that we see him robbing corpses shows his evil), the song gives him more depth than either a stock comic character or a stock villain. It’s a dark counterpart to “Stars” and “Bring Him Home” that makes us understand why he is who he is – perhaps it even shows us just what kind of man Valjean could have become if the Bishop hadn’t saved him. The stage Valjean and Thénardier don’t speak in the sewer, but on film, true to the novel, they exchange a few lines of dialogue (and Valjean gives Thénardier a much-deserved shove into the sewage). Valjean’s long trek with the unconscious Marius is the same in both versions, though on stage it’s usually very stylized (Valjean repeatedly vanishing into darkness, then reappearing under spotlights at different points of the stage), while on film it’s repulsively realistic, Valjean sinking deeper an deeper into the sewage while struggling to keep Marius’s head above it, and both completely covered in muck when they emerge. At the end of this brief scene, stage Javert interrupts Valjean in mid-plea to growl out “Take him, Valjean, before I change my mind!” and warn him that he’ll be waiting. The film cuts this for a more suspenseful moment. Javert threatens Valjean with a gun, “One more step and you die!” but Valjean presses on… and Javert drops the gun into the sewage. Javert’s final soliloquy is slightly shortened but otherwise unchanged on film, except, of course, for the realism of the visuals. The classic staging of Javert’s leap from the bridge is an unforgettable coup-de-theatre: the bridge flies upward while Javert collapses to the stage floor, flounders amid swirling watery light, and then lies still as the turntable sweeps him away. The film, of course, replaces this with a real fall from a real bridge and a horrible crunch as Javert lands on the weir below and then vanishes under the water. Les Mis devotees are eternally divided about this song. Some despise it, complaining that it detracts from Hugo’s message of hope and paints the rebels as pathetic victims instead of heroic martyrs (“They were schoolboys, never held a gun”). But Herbert Kretzmer has stated that the song was only meant to convey the plight of women bereaved by war and civil strive and that the audience isn’t meant to agree with their cynical despair. Onstage this is traditionally a surreal sequence, conceived by the authors as a hallucination. “Marius, recovering from his wounds, imagines he is back in the ABC Café,” read the stage directions. As he sits and sings among the titular chairs and tables, the ghosts of his friends appear and stand in a row behind him, only to withdraw during the last verse. The film, however, brings the scene into the real world, with an evidently more fully recovered Marius (though still with his arm in a sling and needing a cane to walk) visiting the real, decrepit and battle-scarred café. No ghosts appear; the emphasis is only on Marius and his grief. The location of this scene is never made clear in the stage libretto, but the usual staging implies a hospital, with two nuns who watch over Marius as Cosette helps him to a chair. The lovers sing their “Heart Full of Love” reprise sitting side by side, while Valjean enters unseen and sings his interjections that parallel Éponine’s in Act I. The film, however, shows Valjean and Cosette leading Marius home from the café into his grandfather’s house. The song loses a stanza onscreen (as it often does onstage anyway), as well as one important line: Marius’s “…who was it brought me here from the barricade?” Why they cut that line, I’ll never know – thankfully the wedding scene still reveals that he doesn’t know who saved him. Additionally on film, the trio becomes a quartet as Monsieur Gillenormand joins in, thanking God for Marius’s return. The contrast between the two old men is striking, Gillenormand reunited with his grandson just as Valjean loses his daughter, though the stage version’s perfect parallel of the Marius/Cosette/Éponine trio is weakened. Onstage this exchange directly follows “Every Day,” but the film moves ahead to several weeks or months later, with Valjean and a now sling-free Marius talking in a private room. Apart from a few cut lines, the scene is unchanged – except that Marius’s aghast facial expression evokes a trace of the character’s “darkest hour” from the novel, his prejudice against Valjean as an ex-convict. Note that at the end, rather than Valjean exiting as he usually does onstage, it’s Marius who abruptly leaves the room. Here the film adds another new scene, where shots of Valjean loading his belongings into a carriage (with great difficulty, reminding us of his age and foreshadowing his fatal illness) and riding sadly away are interspersed with Cosette mourning his departure and Marius consoling her. A very welcome addition, as a common complaint about both the stage musical and the novel is that Cosette never seems duly distressed by her father’s absence. 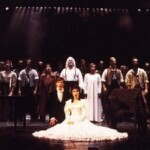 In this scene’s traditional staging, Marius and Cosette kneel at the front of the stage, facing the audience, while the chorus behind them sings the Wedding Chorale. Then they stand up, kiss, and then break into a waltz along with their guests. The film, on the other hand, leaves out the actual wedding but goes straight to the reception at Gillenormand’s house. We find Cosette gazing wistfully through a window, presumably still thinking of Valjean, before Marius takes her hand and leads her to the dance. Also unique to the film is the Thénardiers’ stealthy arrival on the back of another guest’s carriage, as is Marius’s exuberant whirling of Cosette on the dance floor, reportedly improvised on the spot by Eddie Redmayne. Marius’s exchange with the Thénardiers is shortened on film. Stage Thénardier’s humorous attempt to hide his identity (“I forget where we met…”) is cut, his wife’s “But first you pay!” becomes “He speaks, you pay!” (the result being that the film Thénardiers get no money from the encounter), and as in most recent stage productions, we lose a passage in which Marius fondly remembers Éponine and her parents respond by fishing for sympathy money. Cuts aside, both versions of the scene lead to the same revelation of Valjean’s heroism (though film Thénardier describes the “corpse” he carried as “Some boy he had killed in a vicious attack” rather than “Hanging there like a bloody great sack”), and both have Marius reward Thénardier for it with a punch. But on film he also demands and learns Valjean’s whereabouts from him. Onstage (TSOD) we never know how Marius and Cosette learn where to find Valjean. Last but not least, the Thénardiers’ comic business is traditionally broader onstage at this point. “But first you PAAAAY!” traditionally draws stares from all the guests, to which the Thénardiers respond with embarrassed giggles, and just before their song they usually drop stolen silverware with a loud clang, then either try to frame the majordomo for it, pretend it fell from the sky, or both. This business, or at least their getting away with it, is obviously pure TSOD and not done onscreen. The Thénardiers’ final flourish is not only reduced on film to just one stanza, but given completely different visuals that change its meaning. Onstage the song is funny yet cynical. The Thénardiers are completely victorious, having gotten away with every crime, successfully blackmailed Marius and effectively taken over the wedding party. On film, though they still go unpunished, their victory is more hollow. The humor is at their expense as they’re carried to the door and thrown out, without a franc and with only their survival to brag about in defiance. In the novel, Valjean dies in his apartment at Rue de l’Homme-Armé. In the stage musical, it’s never made clear where the final scene takes place: it traditionally plays out on a bare stage with only a chair and a table containing a crucifix and the Bishop’s candlesticks. The film, however, takes us back to the place of Valjean and Cosette’s old home, the convent, where we find Valjean in a wheelchair before the altar. The candlelit church atmosphere enhances the transcendent quality of our hero’s last moments. Both stage and film Valjeans die only to rise up and join Fantine, but on film we see his spirit and his corpse in the same shot as his spirit slowly walks out of the chapel, a feat impossible onstage. Then comes a more important change, very controversial among the fandom. Onstage, the third spirit to appear, who joins Valjean and Fantine in singing “To love another person is to see the face of God,” is Éponine. On film, it’s the Bishop. The merits of both choices can be debated forever. Éponine (especially in the stage version) is a prime example of selfless love, the audience knows her better than they know the Bishop, and from a purely emotional standpoint her presence is arguably more moving. At any rate, by replacing her, the film loses a lovely two-female harmony on “Take my hand…” which the screen Fantine sings alone. But on the other hand Valjean never knew Éponine, while the Bishop was central to his life, so it makes more sense that the Bishop should welcome him into Heaven. Not to mention it’s the Bishop whose angelic presence the novel implies at this point. (Besides, it’s moving on a meta level that Colm Wilkinson’s journey with the musical ends with him singing the same words as the Bishop that he sang as Valjean in the finale of the show’s premiere in 1985). From the moment the film was announced, we fans wondered how the musical’s finale would be handled. 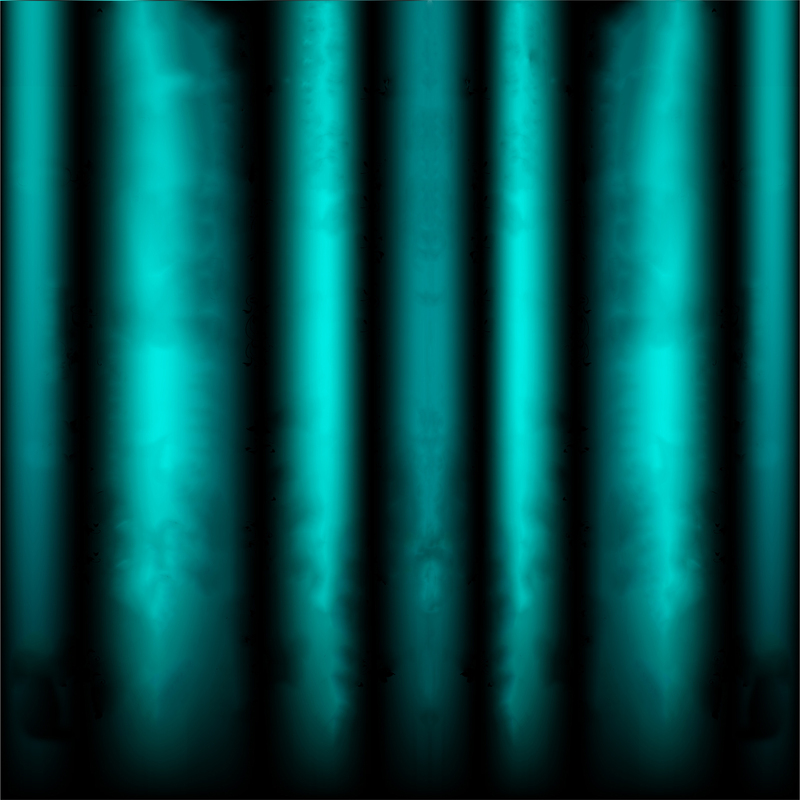 It works perfectly well onstage to have all the spirits of the dead simply enter and sing out to the audience (in the Nunn/Caird staging they start singing behind a scrim, which then rises, allowing them to walk forward), but to have them all appear at Valjean’s deathbed would hardly feel comfortable onscreen. The film surprised us with its creativity by setting the final chorus on a massive barricade in the Place de la Bastille, climbed and surrounded by thousands of people. The screenplay reveals that this was meant to depict the Revolution of 1848, in which the people of Paris finally did rise, a republic was established and the students’ ideals saw some light. But this context isn’t specified, so it can just as easily be taken as a symbolic tableau of hope never dying. Once again, I’m not trying to imply that either version of the musical is better than the other. In writing this, my only intent was a (hopefully) interesting academic exploration of how a beloved stage show was adapted to the medium of film. The stage version is the form in which this musical “swept the world” and still captivates audiences after nearly thirty years. And judging by its box office success, by the applause at the end of nearly every screening I saw in theaters, and by my own feelings, the film will continue the Les Misérables tradition of sweeping the world for years to come. This is just brilliant. Is there a detail you haven’t noticed? I can’t think of one. For me, the impact of the live stage version was somehow more immediate. I felt more a part and less removed. That will always have a bit more appeal. In spite of that, I enjoyed the movie immensely. I’m sure that kleenix stock prices have improved greatly!!! This is really great. Very informative. One thing you didn’t mention was Hugh transposing the lines “I run a business of repute, I am the mayor of this town” – do you think that was done on purpose or did he just get the order wrong? I’m assuming the former, although it does make the sound of the lines rather awkward and loses the rhyme. Also, the Thenardiers don’t sing the “One more thing, one small doubt” verse during the scene where Valjean ‘buys’ Cosette from them. I missed that – and would have liked to see Valjean’s reaction to his intentions towards Cosette not being ‘correct’! I wondered if that was in the screenplay and just cut for time, or if they never intended to use it. I forgot about the “One thing more, one small doubt” verse! I’ll have to add in a mention. It is in the screenplay, so it was probably just cut for time. I don’t quite get the reversed order of the “mayor” lines either. Maybe that’s why I didn’t bother to mention them. wondering about the father of Fantine’s child…wasn’t he a student? Foreshadows the next generation of students who “man the barricade.” Commentary on the way the male students play with young women but do not commit to them. Women pay the price by becoming pregnant. This line is in the screenplay – so it maybe a deleted scene on the DVD! Thanks so much for this excellent analysis! As a devoted fan of the stage play who just saw the movie for the first time, I’ve really enjoyed reading this comparison. It touches on a lot of the things that I noticed as I watched the movie, and some that I didn’t! In fact, there’s only one tiny little detail from the film that I’d like to add. As Valjean is loading his belongings into the carriage at the end, he suddenly has trouble lifting a heavy chest, and there’s a brief shot of him having to sit on the edge of the carriage step before struggling with the chest once again. It looks like he’s catching his breath, and he looks quite defeated. Now, it could just be that he’s despairing about losing Cosette here, but it reminded me very much of the novel, where it talks about how carrying Marius through the sewers sapped a lot of the superhuman strength that Valjean had had right up until then, so that by the end of the novel Valjean was just a frail old man. I wondered whether that brief moment in the movie was Jackman showing Valjean’s realization that his strength was failing and old age was creeping up. Yes, yes… I’ve just made an edit to mention that detail. I didn’t notice it until my fourth or fifth viewing, after I finished writing this piece. I guess I was too fixated on Cosette and Marius. But I’ve noticed it since then and it is very effective. My only complaint with this movie version (as with Sweeney Todd) was some of the cuts. The stuff I’d like to see restored (full versions of Confrontation, Master of the House, some lines from the ABC Café, On My Own, A Little Fall of Rain, and Javert’s Suicide) would probably only add about fifteen minutes to the movie, tops. It bugged me to lose that verse from Javert’s Suicide because it wrecked the symmetry with Valjean’s Soliloquy.